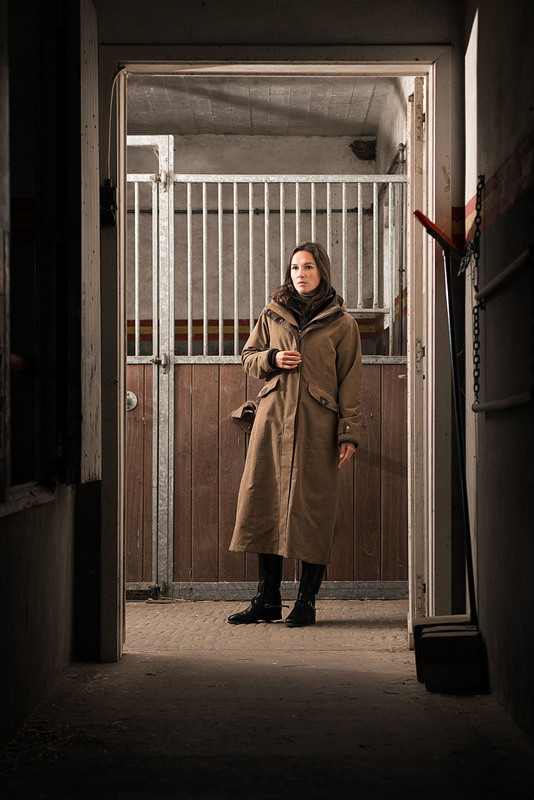 The stylish ladies Kensington Coat from Baleno combines country style and practicality perfectly. 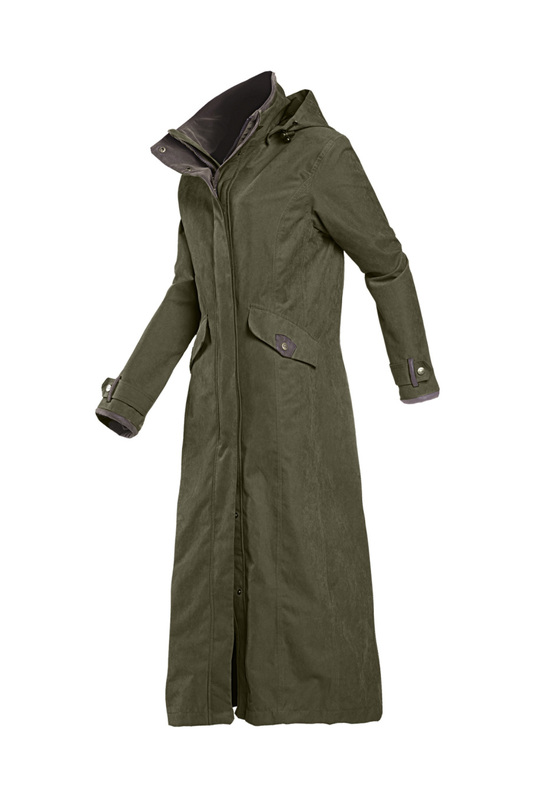 Made from a soft-touch noiseless fabric, it is waterproof, windproof and breathable. A detachable hood, adjustable poppers on the cuffs and taped seams offer extra protection for those days of inclement weather. 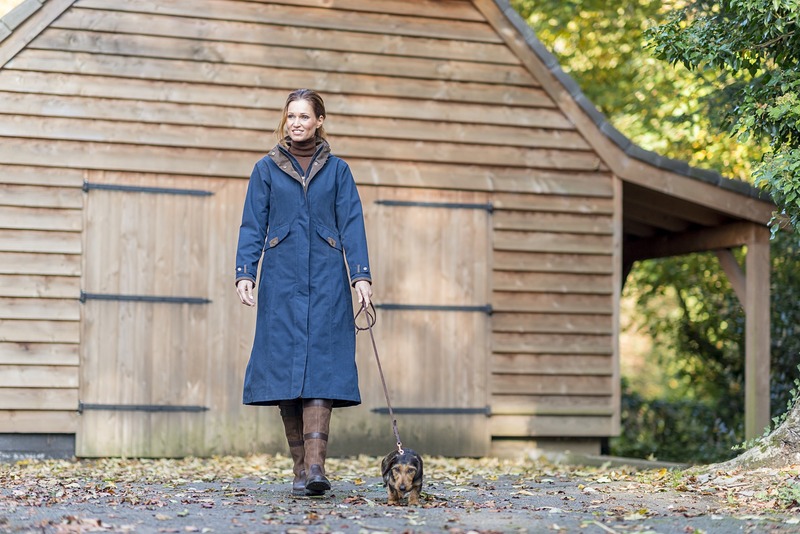 Additionally,the longer length of the coat makes the Kensington the perfect coat for dog walking and other country pursuits, covering the top of long boots & doing away with the need to wear leggings or overtrousers. 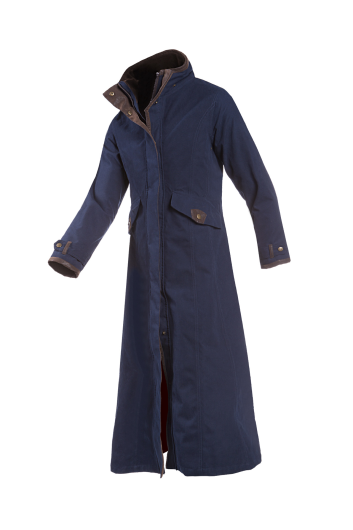 The large back pleat at the back has poppers and a pommel flap, combined with the two inside leg straps, these unique features make the Baleno Kensington Coat suitable for horse riding. 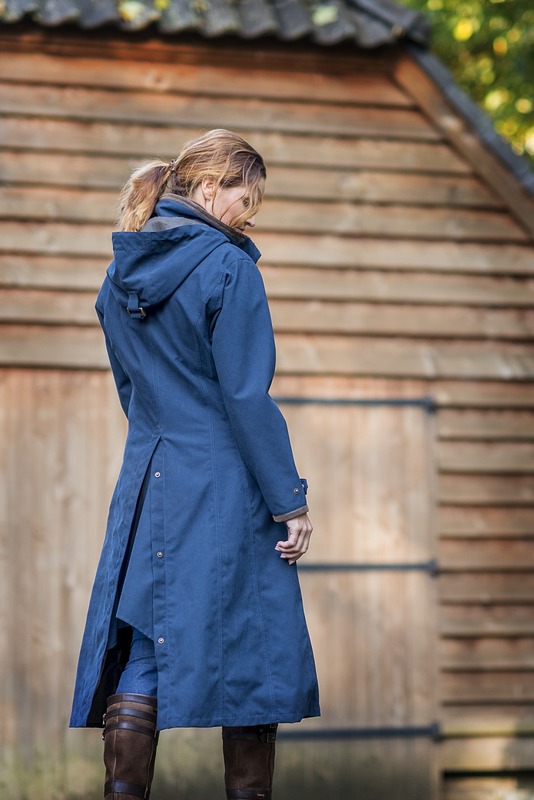 Flattering shaping at the waist and thoughtful contrast piping combine to ensure a smart and feminine style. 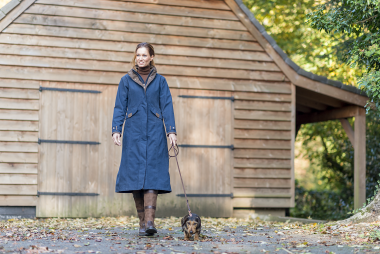 One of our local customers says that this is the best coat that she has ever bought!